Well, about me… hum. 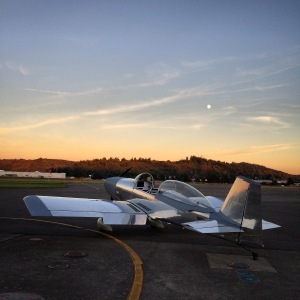 I have built a few planes over the years and finished a Vans Aircraft RV-8 located Crest Airpark in Covington WA. If you’re interested in checking it out, drop me a line and I’d be happy to talk planes with you. 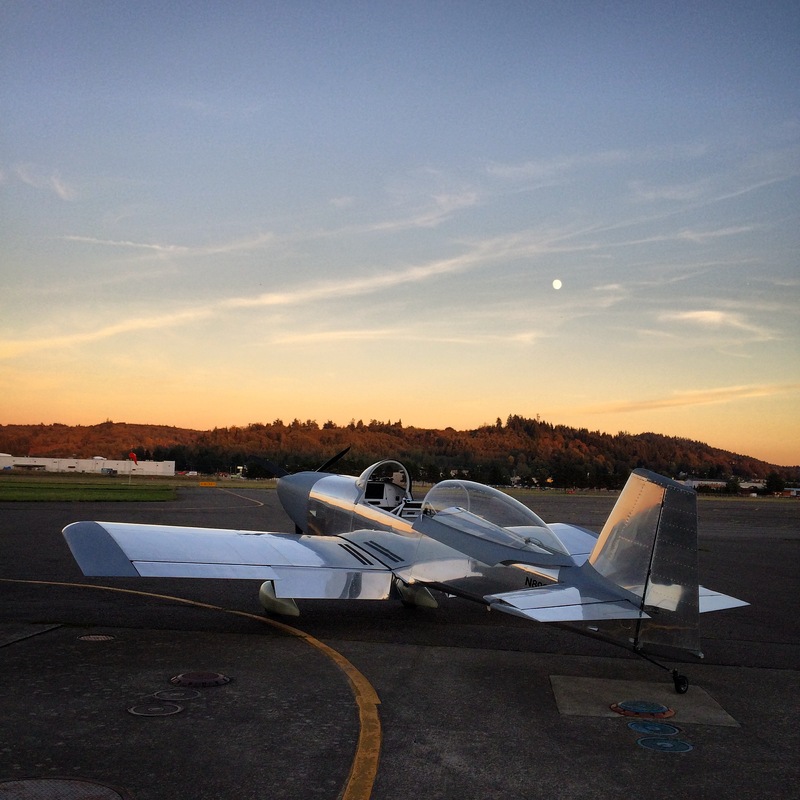 The RV-8 is simply a fantastic airplane. 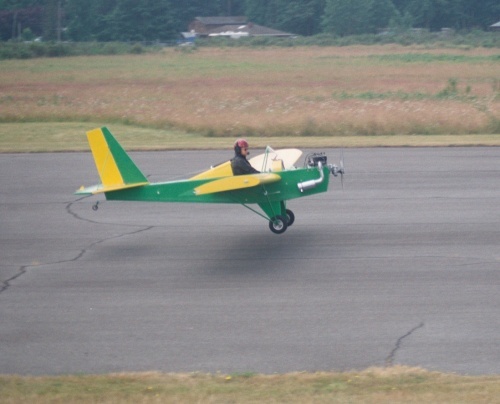 It’s FAST, it’s AEROBATIC, and it looks amazing! Formation flying has always been a love of mine and it’s so much easier with a tandem airplane. The increased visibility is perfect for flying close to a group of planes. I’ve been steadily increasing my aerobatic tolerance with the RV-8 as I flew the test time off and soon was doing 5 G pulls and 3 G loops on a regular basis. 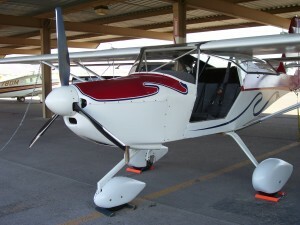 This was my first Light Sport airplane. I flew the Kitfox for about 5 years and enjoyed flying with the doors open on a nice summer evening. It was a very popular airplane with the Kids at our EAA Young Eagles flights as they visibility is perfect! I started construction in July 2001. The first flight was February 23rd 2003. Progress was steady for about 18 months. I used all the standard build kits from VansAircraft. Starting with the tail kit, then wings, next fuselage, then finally the finishing kit. FWF included a new Aerosport 0-320-D2A and Sensenich metal prop. A Basic VFR panel kept costs inline and has provided all the functionality that I needed. 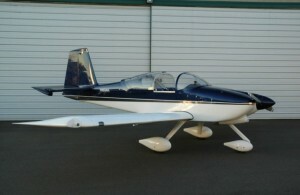 This was my first homebuilt airplane. It was a single seat wood and fabric ultralight. Powered by a 40hp Hirth 2702 engine it would fly 60mph. It was lots of fun flying out in the open on nice summer days. It also was great fun flying a taildragger and learning the operation and maintenance of 2 stroke engines. I never had any problems with this plane and it’s still flying up around Arlington WA today.